My apologies in advance if this is too obvious. The reason I post this is because apparently, many folks in the present generation don’t consider maximum economy when fixing things (they just get a new one). Those shutoff valves under the sink are normally wide open. The only time you would close them is when you want to change out the faucet, or do a remodel. But sometimes (especially on the hot water side), it’s drip, drip, drip, no matter how much you try to tighten the valve. This happened to me. So I shut off the water to the whole house, and removed the valve. The water supply was shut off at the main, and the valve was removed from the pipe. 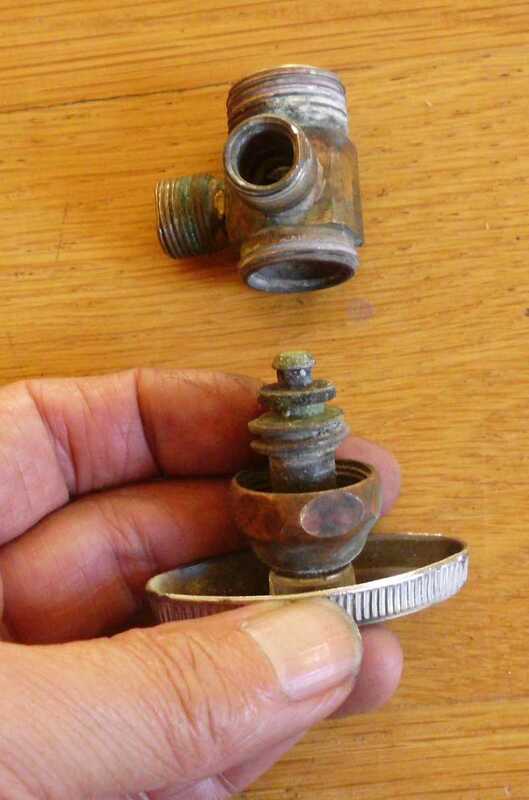 The top cap of the valve was unscrewed, and the handle was turned counter-clockwise until the entire assembly came out. There were the remains of a hard, crumbling black washer on the tip. The washer was too stiff to pull off – it had to be broken off in pieces. Unfortunately, I didn’t get a picture of the old washer in place. 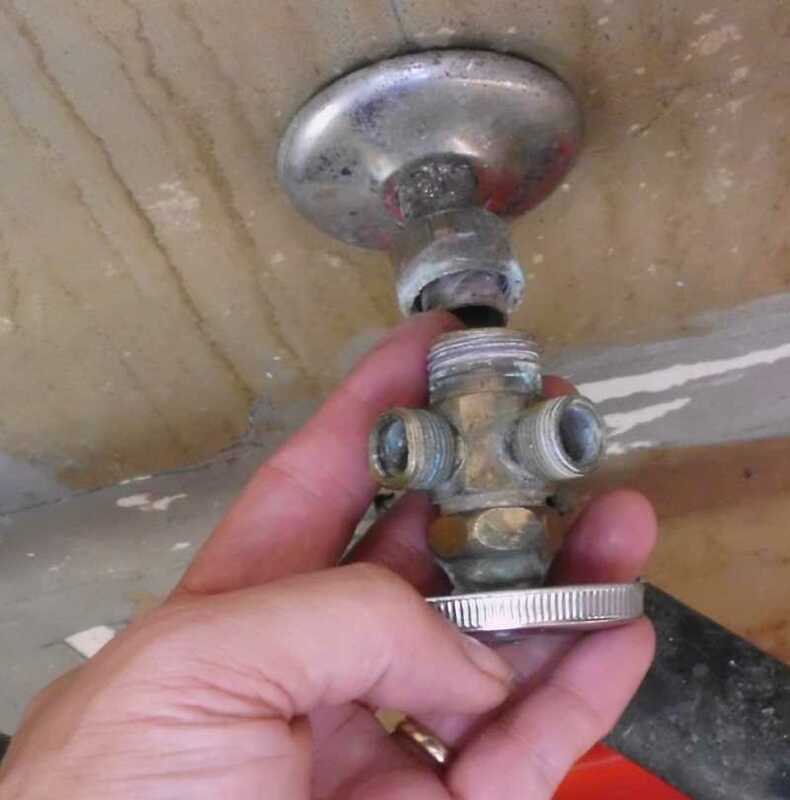 I went to the hardware store, thinking that I would just get a cheap new valve. As I was looking through the plumbing aisle, a store worker asked if I needed help, and I said Yes. 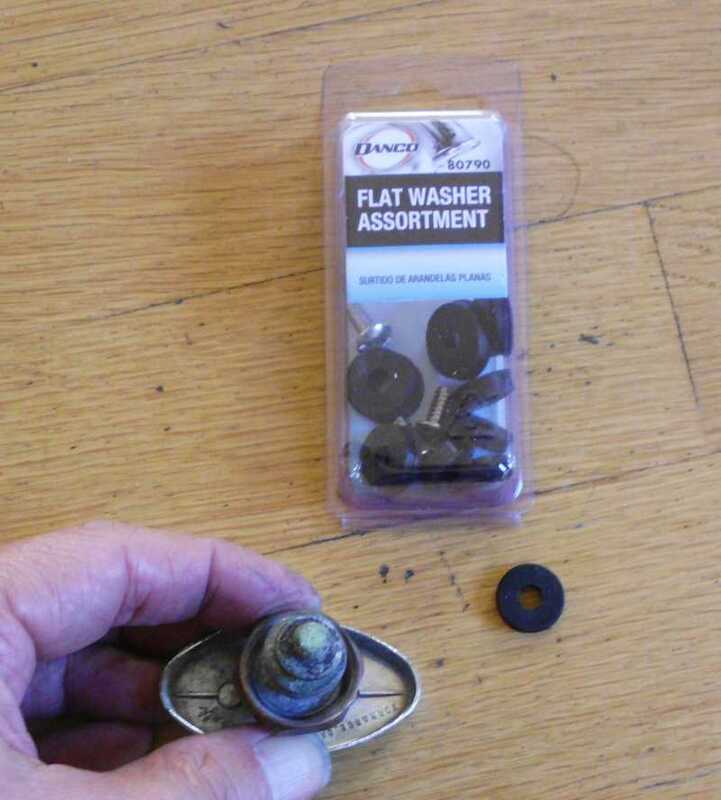 I said all I really needed was a washer to replace the worn one on my valve. He replied that he didn’t have a washer that would fit, but looked for valves that would fit, and finally came up with the recommendation that I get this certain type that was about $20. Too rich for me. After the store guy left, I looked a little further down the aisle and found a flat washer assortment. $1.99, and you get maybe 10 washers in the package. It looked like the smallest one, 000, would fit. So I bought that, instead. Here is the package of flat washers I got from the hardware store for $1.99 . The 000 size can be pushed over the peg at the end of the valve, and fits perfectly. Again, I unfortunately didn’t get a picture of the new washer in place. After reassembling the valve, I put it back on the pipe. I then put a piece of brown paper on the floor under the valve overnight to confirm that there were no more drips. It was fine.